On 12-15 July Poland's Foreign Minister Radosław Sikorski paid official visits to Georgia and Armenia. Instead of Azerbaijan, which is also included in the Eastern Partnership initiative, the third country in the tour was Kazakhstan. The minister attended the two-day informal OSCE summit in Kazakhstan dedicated to discussing regional conflicts, human rights protection and strengthening the work of the organization in the Caucasus region. The fact that Azerbaijan was not included in the Sikorski tour is not an evidence of the negative attitude towards the country, said Poland's foreign vice-minister Jan Borkowski. According to the vice-minister, the tour agenda was planned beforehand, and it is not productive to raise too many issues during one trip. “We just have an absolutely different range of issues to discuss with this country”, assured Borkowski adding that the FM will visit Azerbaijan later. In reality, Azerbaijan might have been not very happy about the agenda of the Sikorski visit to Armenia. In 2005 Poland's parliament unilaterally voted for the recognition of the Armenian Genocide in Turkey during the 1st World War. During his stay in the country Sikorski attended Armenian Genocide memorial. The content of the visit and warm Warsaw-Yerevan relations might have triggered off some discontent in the neighboring Azerbaijan that is in lasting conflict with Armenia over Nagorno-Karabakh. In the recent interview Armenian ex-minister of defence Vaan Shirkhanian expressed the view that any activation of Genocide issue provokes “even bigger hysteria” in Baku than in Ankara. He also noted that “until Turkey doesn't recognize the fact of the Genocide, Nagorno-Karabakh will not become independent. These two issues are closely interrelated”. While in Georgia and Armenia Sikorski met with foreign ministers and heads of state (Georgia's President Mikheil Saakashvili, Prime Minister Nikoloz Gilauri and Foreign Minister Grigol Vashadze, Armenia’s President Serzh Sargsian, Prime Minister Tigran Sargsian and Foreign Minister Eduard Nalbandian). Sikorski also met both countries’ opposition leaders. Poland-Armenia bilateral contacts are rather active. Sikorski's visit to Armenia technically was a return visit of the Armenia's FM to Poland in the beginning of 2009. In March Prime Minister of Poland Donald Tusk visited Poland, and just a few weeks before the Sikorski arrival Bronislaw Komorowski in his Acting President status then, visited Armenia. Indeed, Sikorski affirmed that Poland “will continue its contributions to the EU Monitoring Mission and will continue its diplomatic efforts for the territorial integrity of Georgia to be restored.” Though he avoided using the wording “occupation” despite direct questioning of the Georgian journalists. “I don't think anybody gained from events of August 2008... We have been using this word for a while and it will not change”, he said. Minister Sikorski’s visit was an expression of Poland’s support for the full implementation of the provisions of Medvedev-Sarkozy agreement. “We support territorial integrity of Georgia and we certainly believe that the agreement that was entered into force on behalf of EU by president Sarkozy that it should be fulfilled and has not yet been fulfilled”. During his visit to Georgia Radoslaw Sikorski reminded that he was the first NATO defense minister to visit the country. Participation in the EP initiative will contribute to Georgia's approach to the NATO and EU membership, confirmed he. The visit is taking place on the eve of the first round of the EU negotiations of association agreements with Georgia and Armenia. The talks addressed the two countries’ relations with the European Union, including a broad spectrum of current issues such as Eastern Partnership implementation and visa facilitation for citizens of South Caucasus. In turn, Armenia expressed it interest in taking steps to facilitate the visa regime with Poland and with other countries of the European Union. The Ministers also discussed forms of Poland’s potential expert assistance to Armenia and Georgia relating to negotiations of association agreements and visa liberalization arrangements with the EU. The Ministers also discussed Georgia’s and Armenia’s relations with Russia and Turkey. Sikorski reminded that the office of the Poland's president is largely ceremonial, it is the government that sets and executes foreign policy. The minister expressed confidence that “president Komorowski will continue friendly relations between our countries, what is important for you is that government policy will not change” he responded to the Georgian journalist question whether the foreign policy change in possible under the recently changed presidentship. The Karabakh conflict was the focal point of the Armenian and Azerbaijani Foreign Ministers’ meeting in Almaty. Azerbaijani and Armenian foreign ministers Elmar Mammadyarov and Edward Nalbandian met with their French, Russian and U.S. counterparts Bernard Kouchner, Sergei Lavrov and Hillary Clinton at the upcoming OSCE meeting in Almaty. On the eve of the meeting Azeri Foreign Minister Elmar Mammadyarov alleged that the withdrawal of Armenian forces from Kelbajar and Lachin would be discussed in a possible upcoming meeting with Armenia’s counterpart. During his press briefing in Baku Elmar Mammadyarov even announced Baku’s “acceptance” of a five-year timeframe for the Kelbajar and Lachin transfer. In turn, Armenia's FM referred to that statement as “absolute lies.” “The Armenian side has never discussed the transfer of Lachin and Kelbajar to Azeri administrative control,” said Nalbandian, stressing that the matter was also not discussed during last month’s St. Petersburg meeting of presidents Serzh Sarkisian, Ilham Aliyev and Dmitry Medvedev. As a result, Turkish FM Ahmed Davudoglu confessed that the discussion was unsuccessfully. He also added that the opening of Turkey-Armenia borders was not discussed. It is worth mentioning that experts had not expected the meeting to bring a breakthrough in the conflict resolution. Svante Cornell, Johns Hopkins University Institute of Central Asia and Caucasus Director and Swedish Institute of Security Policy and Development Founder noted that there have been numerous occasions over the past 15 year when people expected progress in the negotiations and were disappointed. The forthcoming meeting would probably be of the same kind, he said. Artiom Ulunian, chairman of the Center for Balkan, Caucasus and Central Asian studies at the Institute of Historical studies of Russia's Academy of Science, pointed out that Lachin and Kelbajar are of strategic significance for the Nagorno-Karabakh region security. It is unclear who would guarantee security of these territories in case of the transfer to Azerbaijan. Neithter OSCE, nor Turkey, nor Russia, nor NATO stated that they are committed to. In order to solve Nagorno-Karabakh conflict, new approaches are needed and they are not perceived in the near future. Security problems in the OSCE area, including Kyrgyzstan and engagement with Afghanistan, dealing with current challenges through the Corfu Process and a decision on an OSCE summit were on the agenda of the informal meeting of foreign ministers in Almaty on 16-17 July. The Almaty event followed on the first informal meeting of OSCE Foreign Ministers on the Greek island of Corfu in June 2009. The "Corfu Process" was launched at that meeting with the aim of restoring confidence and taking forward dialogue on wider European security. Foreign Ministers of the OSCE countries reached consensus on two important issues, namely on holding a summit in Astana this year and reinforcing OSCE assistance to Kyrgyzstan. 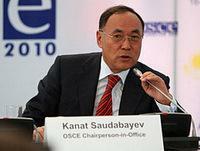 In his statement to the Ministers of the 56 OSCE participating States, Kazakhstan's FM Kanat Saudabayev said that the Organization's ability "to effectively react and resolve existing and new challenges, including the need to stabilize the situation in Kyrgyzstan, will be a test of the OSCE's vitality." The foreign ministers' agreement on Kyrgyzstan was followed by the OSCE Permanent Council decision on July 22 in Vienna. The Permanent Council decided to authorize the deployment, without delay, of an OSCE Police Advisory Group to assist Kyrgyzstan to reduce inter-ethnic tensions, restore public order and strengthen the capacities of the territorial units of the Ministry of the Interior of the Kyrgyz Republic. The initial deployment for the Advisory Group will be an operational period of four months commencing with the date of the start of operation. This will be kept under review depending on the security situation in Kyrgyzstan and can be extended or altered as deemed necessary, subject to the agreement of Kyrgyzstan and the necessary Permanent Council decision. The agreement with Kyrgyzstan on the Police Advisory Group envisages sending an initial 52 international police officers to monitor and advise counterparts in the Kyrgyz police force, with a focus on southern Kyrgyzstan. They will be unarmed and have no executive police powers. All 56 OSCE participating States may nominate candidates for the Police Advisory Group. "Kazakhstan's OSCE Chairmanship welcomes the decision of the participating States to deploy without delay a Police Advisory Group and thus enhance the OSCE's continuing work with Kyrgyzstan to resolve the current crisis, prevent the spillover of tensions in the region and promote post conflict rehabilitation," said the Chairperson of the OSCE Permanent Council, Ambassador of Kazakhstan Kairat Abdrakhmanov. The Police Advisory Group size is largely nominal, though the step is worth welcoming taking into account the previous long-time inability of the OSCE to deal with the outbreak of violence in the Southern Kyrgyzstan. "The tasks of this mission is first of all advising the Kyrgyz police. The Police Advisory Group will have contact with all parts of the population in southern Kyrgyzstan," Salber said. "They will be assisting and also monitoring the Kyrgyz police. They will accompany them in their work with the communities there with the objective of strengthening the confidence in this area, in particular between the police and the population",ambassador Herbert Salber, the Director of the OSCE Secretariat's Conflict Prevention Centre, said. President Nazarbayev also announced that Kazakhstan would give ten million dollars worth of emergency assistance to Kyrgyzstan, including materials for rebuilding houses and fuel.. According to the Kazakhstan's FM Kanat Saudabayev, a key topic of the forthcoming OSCE summit will be the Euro-Atlantic and Eurasian community - "shaping a united and indivisible security space, free of dividing lines and different levels of security." Saudabayev said that based on the results of preliminary consultations, Astana could be the location of the next OSCE summit this year. OSCE participating States are expected to discuss this proposal in the near future. "Conducting an OSCE summit in 2010, the year of the 35th anniversary of the Helsinki Final Act, will give a unique chance to demonstrate to the world community the evolution of the Organization from Helsinki to Astana. 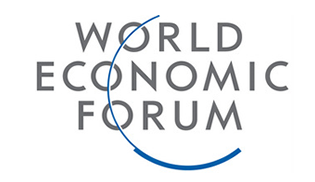 ", said Kazakhstan's President Nursultan Nazarbayev, addressing the meeting. Other topics will include reconfirming States' commitments; reinforcing the OSCE's institutional foundation and its transformation into a full-fledged international organization; strengthening arms control; enhancing the OSCE toolbox in all three dimensions on early warning, conflict prevention, crisis management and post-conflict rehabilitation; joint development of ways to peacefully settle protracted conflicts; and increased attention to countering trans-national threats. During the Ministeriall meeting in Almaty Lithuania's FM, as future OSCE Chairman-in-Office for 2011, Andronis Ažubalis attended the OSCE troika meeting. At the meeting with Minister of Foreign Affairs of the Russian Federation Sergey Lavrov, Minister Azubalis discussed the OSCE agenda and transnational threats to security in the OSCE space. The minister plans to visit all Central Asian states in the nearest years.